The board at the far left of the back of this chair is an example of the type of ojoche that has a dark reddish brown heartwood. Theojoche tree (Brosimum sp.) is a proud giant of our forests which sometimes produces a red heartwood of matchless quality and appearance—but peculiarly, some individuals do not have it, and it is not known why. The Brosimum genus has a lot of different species, and they cannot be easily distinguished. If people glance over this tree or cut into its buttresses and see a reddish part, they think that it is a good one, but many times it is not, and the trees that were cut and do not have this reddish wood inside are simply left discarded in the forest to rot (www.elmundoforestal.com1). 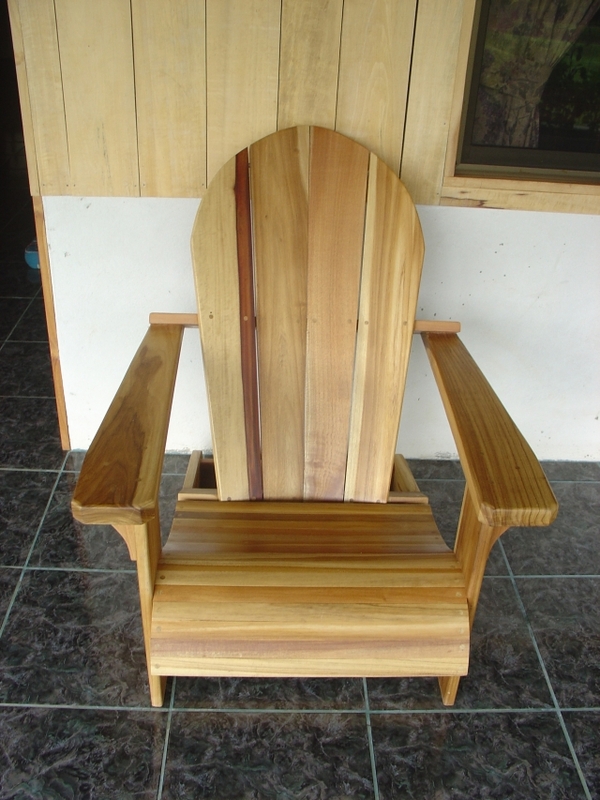 The popular one’s heartwood is dark red to reddish brown with irregular radial black markings or with black vertical stripes alone or in conjunction with speckles; the sapwood is very thick, yellowish white, and with a line of demarcation often irregular and unclear. The others are completely yellowish white inside without the reddish heartwood. 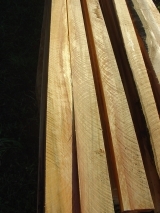 The wood’s luster is medium to high; its texture is fine and uniform; the grain is straight; the wood is odorless and tasteless (www.windsorplywood.com1). Therefore, the Brosimum genus can be separated in two different categories: the ones that don’t have the red heartwood, whose whole log is white-yellowish in color, in which group Brosimum alicastrum is most useful as a food source, and the ones that have reddish heartwood, such as Brosimum guianense. However, both are considered as heavy wood, and depending on the species, the specific gravity can vary between 0.7 and 1.36 (Flores y Obando3). Both are known as ojoche trees, and both are important forest sources. The Janka side hardness test shows that the ojoche is 1898- to 2090-lb resistant. 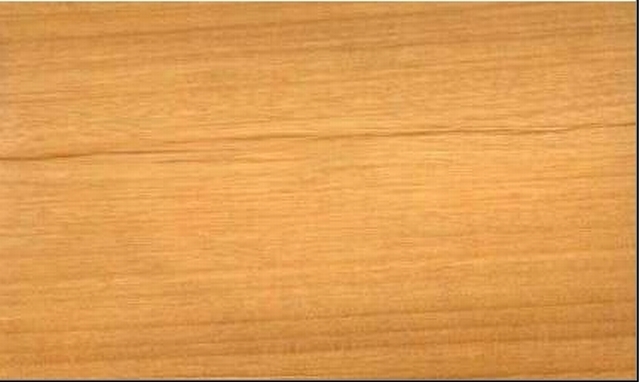 Drying is considered modest for this wood, occurring at moderate to fast speed, with some slight cracks, twists, and bends over the surface taking place. It is medium to hard to work and easy to preserve. B. alicastrum is a multipurpose tree; it was one of the main means of support of the ancient Mayas, who cultivated it intensely. The wood is white or yellowish and it is used for firewood, railroad ties, veneer, floors, tool handles, packing boxes, furniture and cabinets, and bee honeycombs, as well as rural construction and handicrafts. The branches, leaves, fruits, and seeds are used to feed cattle. They also serve as a nutritional supplement for pigs and chickens. The seeds are rich in starch, proteins, and vitamins A and C (Niembro, A., 20024). Years ago, in times of starvation, people ate ojoche nuts to survive because there was no maize or other crops. Brosimum sp. is native to America. It is distributed naturally from Mexico, across all Central America to northern South America (Colombia, Guyana, Surinam, Venezuela, Ecuador, Bolivia, Peru, NE Brazil (Roraima), and in the West Indies. The plant is an important component of hot-humid and subhumid tropical forests, where it forms groupings of different sizes (CATIE5). It is a big tree, usually up to 20 to 25 m (65.6 to 82 feet) in height and a diameter of 50 to 90 cm (19.7 to 35.4 inches) DBH, but it can reach 35 to 40 m (115 to 131 feet) in height and 150 cm (60 in) DBH. It occurs from sea level to about 1000 m (3281 feet), and it grows better in well-drained soils, but Brosimum is very adaptable. It can grow in clayey or deep soils or in areas that flood during the rainy season, as well as in shallow and highly stony soils; and also in soils with a pH of 6.8 to more than 8.2, as well as in regions with annual rainfall of 600 mm to 3500 mm. It has adapted to grow and regenerate in closed forest situations; therefore the seedlings have a strong tolerance to shaded areas (Agroforesteria en las Americas6). The trunk is straight, habitually with well-developed buttresses. The branches are ascending, forming a cleared or pyramidal crown. The crust is rough, gray-blackish, and frequently with large square plates. The internal crust exudes sticky and pink sap or latex in contact with the air, which is one of the distinguishing characteristics of this tree. The leaves are simple, alternating, and even numbered, 5 to 17 cm in length with an acute end; they have a heavy or strong petiole (support) with a pointed stipule. They are pale and opaque abaxially (on the underside), and dark bright green adaxially (above), both surfaces glabrous (without hair). The flowers take place in greenish inflorescences (clusters) of 1 cm in diameter. The fruit takes place in solitaire or clusters of green-yellowish and orange-reddish color when they mature, covered by numerous tiny white flakes, and contain a coffee-colored seed of 1 cm in diameter. The species has male and female trees, the reason why some do not fructify (Niembro, A., 20024). There have been some experiences in plantations with this species, and seems that it can have intermediate to slow growth; it has been planted in México, Jamaica, Honduras, Nicaragua, Costa Rica, and Guatemala (www.simas.org7). 3 Flores, E. & Obando, G. Árboles del Trópico húmedo: Importancia socioeconómica. Editorial Tecnológica de CR. 2003. 163-183. 6 Agroforesteria en las Americas. Año 2, No. 7. Julio – Setiembre, 1995. 7 http://www.simas.org.ni/utils/imprimir.php?idexperiencia=52” Concurso Mesoamericano de Sistematización, Prácticas Innovadoras en Proyectos de Desarrollo Rural”.